HomeDIY Health HacksActivated Charcoal – Does It Work? Activated charcoal is popping up all over the place. From face wash to toothpaste to deodorant, we’re seeing this jet black, fine powder on ingredient lists everywhere. What is activated charcoal? How does it work? Is it effective? Activated charcoal, also known as activated carbon, is a highly absorbent, powdered or granulated form of charcoal usually made from bamboo or coconut shells that have been processed at very high temperatures without oxygen. Activated charcoal works through a chemical process known as adsorption. Adsorption is when gas or liquid molecules adhere to the surface of a substance on contact. Because of activated charcoal’s incredibly strong negative electric charge, positively charged gases and toxins are pulled into it and trapped. Here is a look at several uses of activated charcoal. Naturally minded bloggers have been posting videos of themselves brushing their teeth with activated charcoal for the past couple of years. The claim is that the activated charcoal absorbs stains and whitens teeth. The trend of brushing with activated charcoal is unsettling for most dentists and health care professionals. The concern is that activated charcoal may be too abrasive for daily brushing, causing dental erosion and scratching of the enamel. 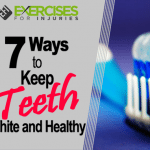 Furthermore, some dentists warn that once the top layer of enamel is buffed away with charcoal, there may be staining on the dentin, which is the inner layer of teeth. While brushing with activated charcoal may be popular on social media, it may do more harm than good. There are plenty of gentler, less messy and more effective ways to brighten your smile. Check with your dentist for recommendations. Activated charcoal is an effective natural remedy for gas and bloating. 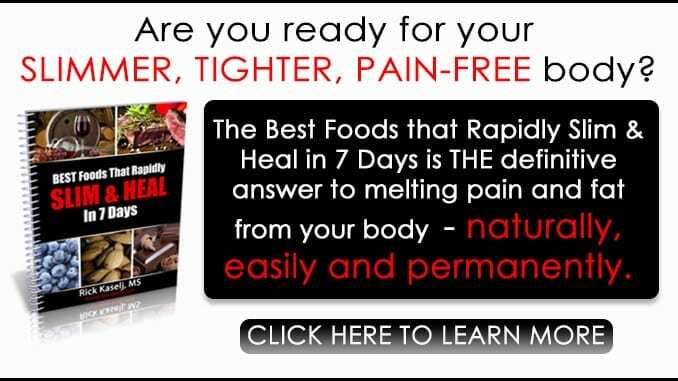 It’s recommended to take 500 to 1,000 milligrams of activated charcoal about an hour before consuming foods that normally cause gas and bloating. It’s easiest to buy activated charcoal capsules to take orally. While activated charcoal does work to eliminate gas, it should be taken with caution and on rare occasions (not daily). Pregnant women should not take activated charcoal. Also, people with kidney or liver disease should avoid it. Activated charcoal should not be taken along with other medications or supplements because it can absorb and eliminate them just as it does gasses and toxins. Activated charcoal has been shown to reduce a person’s blood alcohol content levels when taken with the first drink. If you plan on drinking, consider taking activated charcoal capsules along with the alcoholic beverage. It may make things easier on you the next morning. Another reason that activated charcoal may help with a hangover is by absorbing toxins. The sulfites in wine and the artificial ingredients in alcoholic beverages often cause people to feel especially rundown after an evening of imbibing. Because the activated charcoal draws toxins into itself, taking it while drinking alcohol can be a good way to prevent a morning hangover. Just as activated charcoal removes toxins from our bodies, it is also one of the most effective means of removing certain toxins from our drinking water. Chlorine, certain pesticides and industrial solvents are eliminated easily with activated charcoal water filters. You can also buy activated charcoal sticks to use when you’re not at home with your trusty water filter. You drop the stick into a glass of water, and it will draw impurities into itself, leaving your water utterly flavorless. The sticks are reusable and biodegradable. There are a couple of ways to use activated charcoal for reduced body odor. One way is to take it internally. However, it isn’t recommended to take activated charcoal daily. While activated charcoal is excellent for removing harmful substances from the body, it can also deplete the body of certain vitamins and minerals when taken daily. Another way that activated charcoal can help with body odor is external. Some relatively new inventions like gas neutralizing underwear and pads have hit the market. The underwear has built-in charcoal pads in the rear to filter flatulence. According to hundreds of gleeful customer reviews, they work. Similarly, the reusable charcoal pads are adhered into the back of any regular underwear to eliminate odors from passing gas. Never go to a chili cook-off without them. Deodorant made with activated charcoal is also a good option for preventing body odor. It isn’t cheap, however. At around $10 a stick, activated charcoal deodorant works, but it may not be cost-effective for most people. Activated charcoal can remove dirt and impurities from the skin that could lead to acne. Mix about 1/4 teaspoon of activated charcoal powder with enough water to make a paste. Then, smear it all over your face. It will be black but won’t stain your skin. When you rinse it off, your skin will be left squeaky clean and glowing. If you are bitten by a venomous snake, or you ingest poison, call emergency services right away. However, if you have activated charcoal on hand, you can buy yourself a little time until you receive medical attention. Taking it is likely to increase your chances of survival. When a snake has bitten you and while you’re waiting for medical assistance, immediately put moistened activated charcoal powder directly in the bite fang wounds. Then, take activated charcoal capsules orally. Perhaps one of the most important uses for activated charcoal is to combat drug overdoses and poisonings. Emergency rooms worldwide have activated charcoal on hand. They use it often to treat people who have overdosed on prescription or over-the-counter medicines and people who have ingested poison. Activated charcoal is most effective when it’s taken in the first 20 minutes after a poisoning or overdose. That’s why it’s wise to have activated charcoal in your medicine cabinet and a first-aid kit. Once you’ve called for help, take a hefty dose of the activated charcoal to help neutralize the poison in your system. About 12 tablespoons — normally around 30 capsules — is the recommended dose to counter a poisoning or overdose. In 1831, a French professor by the name of Touery purposely ingested ten times the lethal dose of strychnine in front of his peers at the French Academy of Medicine. He lived because had also mixed in activated charcoal to demonstrate its effectiveness. Activated charcoal is an excellent remedy for itchy poison ivy rashes. Just moisten some activated charcoal with a small amount of water to make a paste and apply it to the affected skin. Cover it with gauze or a clean paper towel. 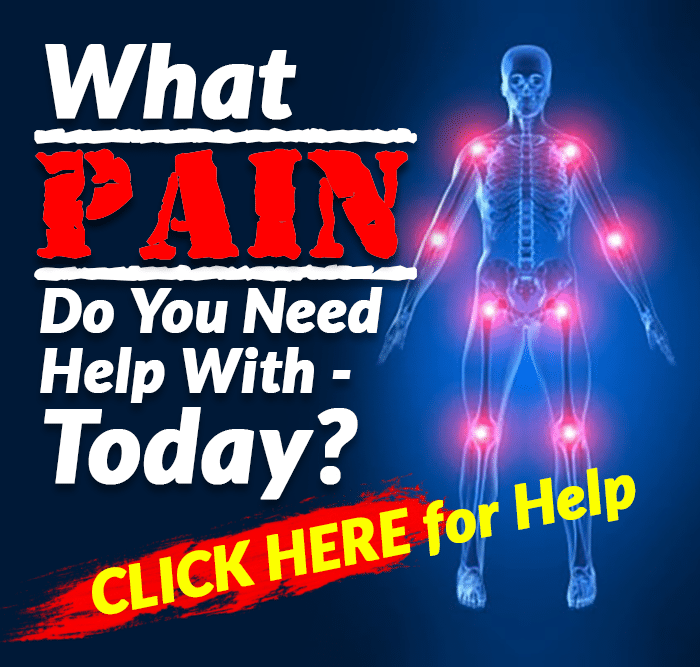 Reapply the poultice a few times each day until the rash has healed. In the same way that it helps heal poison ivy, activated charcoal can draw out the toxins from your skin when it’s been bitten by a spider or bug, or stung by a bee. Again, make a paste with powdered charcoal and water and apply it to the bite or sting. It will reduce the swelling and draw out the irritants from your skin. Shampoo made with activated charcoal does an excellent job of removing built-up dirt, grime, oils and styling products from the scalp. While it may be overkill to use shampoo with activated charcoal every day, it’s a great scalp detox to use a few times a month. There are several varieties of activated charcoal air purifiers available these days. Some are small, cloth pouches filled with activated charcoal. Those are best for sock drawers, closets, attics, cars, refrigerators and other small spaces. There are filters made with activated charcoal that you can install in your heating and air conditioning vents. There are free-standing, whole house air purifiers made with activated charcoal. Many of these products are excellent and effective for clearing the air. Activated charcoal is excellent for wound care. When a cut or wound has become infected, applying a poultice of activated charcoal can draw out the infection and impurities. Activated charcoal applied to the skin with an embedded splinter can also draw out the splinter eventually. This method is particularly helpful when the splinter is beneath the skin. Activated charcoal is not the same as the coal used in outdoor grills. If you plan to give it a try, make sure you buy food-grade activated charcoal. It’s normally available at health food stores and online. When you take activated charcoal internally, you must also be sure to drink extra water to avoid becoming constipated. It is worth restating here that activated charcoal is not recommended for pregnant women or people suffering from kidney or liver disease. It is also very important not to take activated charcoal at the same time as you have taken vitamins, supplements or prescription medications. Activated charcoal is a powerful and effective natural treatment for all sorts of conditions. It also has several practical applications. 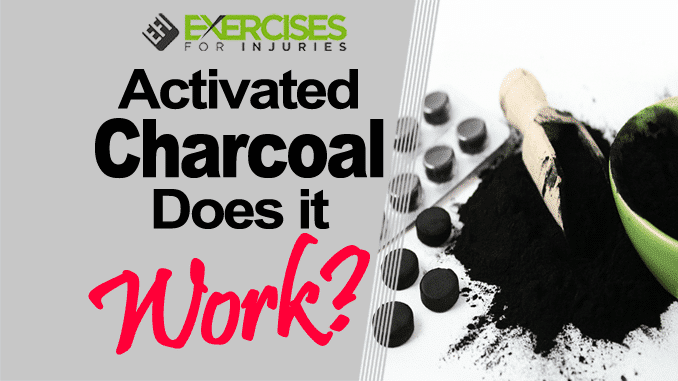 From eliminating body odor to relieving bloating and gas, activated charcoal works. Consider stocking your medicine cabinet with a bottle of activated charcoal capsules to use when the need arises. At the minimum, it could help you remove a simple splinter. At best, activated charcoal could save your life.